A Sleighful of Awesome New Characters, Game Modes, and the Debut of the “Not-A-Store” Item System - No Stinking Loot Boxes Here! The furious minds of Those Awesome Guys announced that their holiday content update for Move or Die – the ‘Green & Gold Update’ – will be available on December 21. Featuring a plethora of wonderful, friendship-destroying, holiday cheer, the ‘Green & Gold Update’ introduces the brand new “Not-A-Store” Item System that completely reinvents how new characters, game modes, Mutators, and other new features are unlocked. 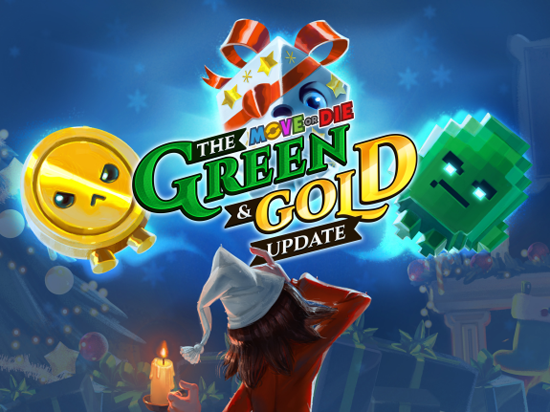 And as expected with major updates, the ‘Green & Gold Update’ contains a huge collection of new insane characters, game modes, Mutators, as well as new ways to customize your character, never before seen in Move or Die. 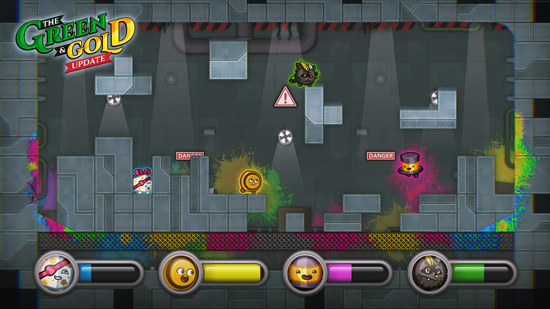 Move or Die is not just the title of the game, but a fundamental gameplay rule: gamers who fail to move will see their health bar diminish rapidly. Players will battle each other in an ever-growing list of mini-game modes that change every 20-30 seconds. Each challenge has its own outrageous level design and rule set to promote hours of laughter and good old friendship-destroying fun. Win battles and unlock insane new character skins, Mutator game modifiers that dramatically change how mini-games are played, and even crazier game modes. When gamers are done beating friends on the couch, jump online and challenge other players to see who will rage-quit first.